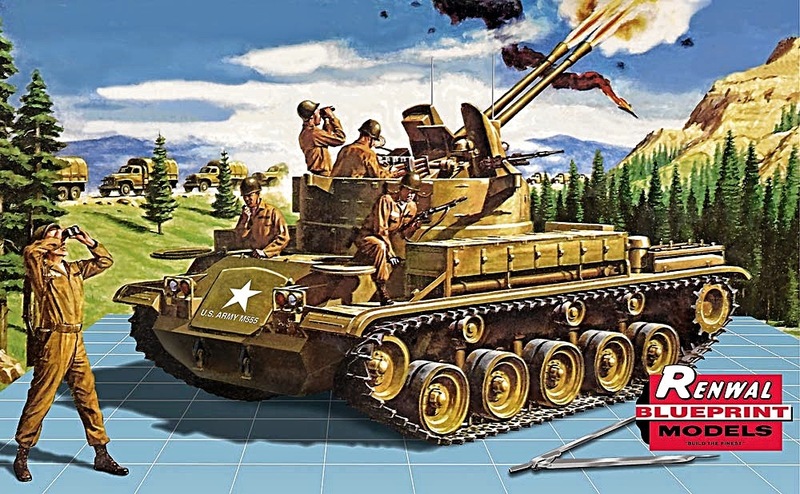 WE ARE GREAT FANS OF OLD KITS AND retro-style box art at SMN, so news that Revell is re-releasing the old Renwal M42 Twin Forty AFV is very interesting indeed. The Revell Renwal Twin Forty kit is produced to the unusual - for AFVs - 1:32 scale. This is rather good actually, as it can sit well with plenty of same-scale Airfix vehicles and any number of aircraft models. The M42 Twin Forty was an anti-aircraft weapon, mounting two Bofors 40 mm cannon as a 'sky sweeper' firing up to 240 rounds per minute. As such, it is a relevant piece of equipment that would make appropriate shelf-top company for any 1:32 scale Cold War aircraft of the 1950s. Indeed, the M42 could also be used in a Vietnam War display, as it was recalled into service in 1966, and became a powerful anti-infantry weapon, named the Duster. The kit is reasonably complex, with 175 components and when assembled measures some 180 mm (7.1 in) long. Five figures are included, though these don't have the level of sculptural detail found in more up to date offerings. In general though, the Twin Forty is cleanly moulded, and has a fair amount of interior detail that includes storage bins and a tool box. 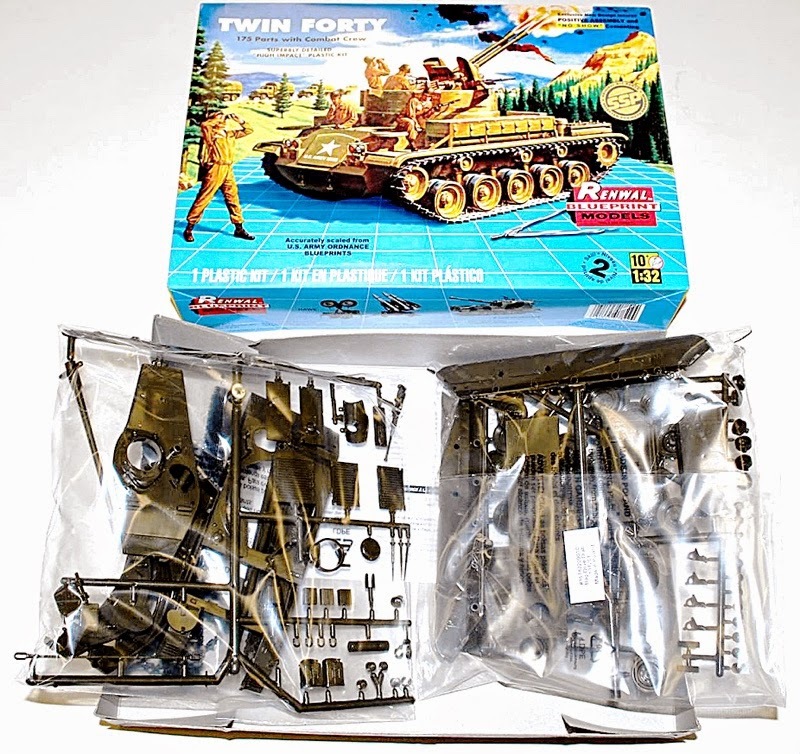 For serious builders, the Revell-Renwal M42 Twin Forty offers a wide variety of finishing options, as it was used by a dozen countries apart from the US Army. All in all, this is a fascinating re-issue that's well worth having - to build, for the retro box art, or even just for old time's sake. The Renwal M42 Twin Forty will be available in stores shortly. Meantime, available (below) are two more interesting 1:32 scale Renwal reissues, the Wrecker Crane and Hawk Anti-Aircraft System.